These are Michael Boren’s’s very first designs and they are fun and interesting to stitch. 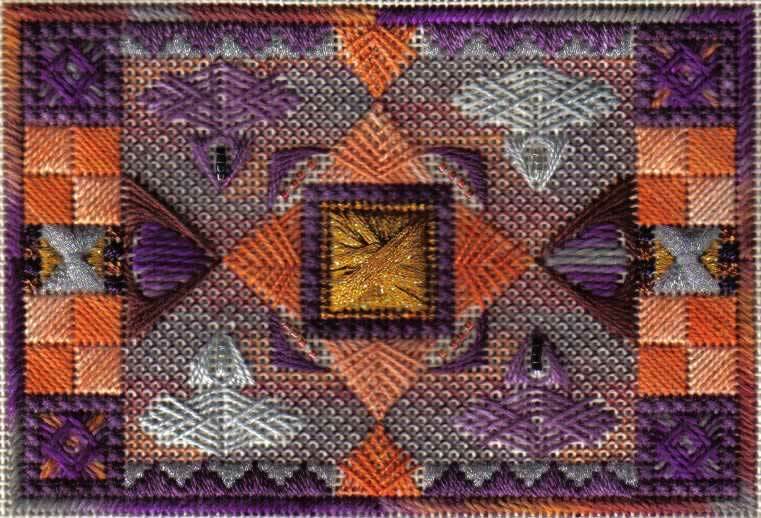 They use a variety of threads from the Caron Collection, Rainbow Gallery and Kreinik with beads. There are 8 colorways provided with the pattern.